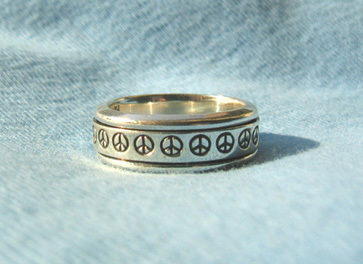 Give your hand in peace with this solid, comfortable spinner band ring. (The spinner ring is based on an ancient Tibetan prayer wheel, with the inner band moving around the outer band. It is said that the subtle motion provides a calming affect, extending the peace of this band ring even further).